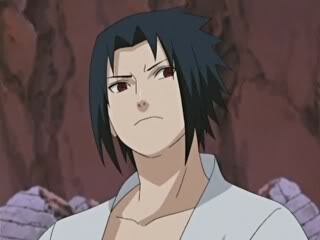 Attitude: varied depending on who it is but can be kind to friends and can be nightmares for uchihas themselves. She hates almost all uchihas except of course Sasuke, Itachi, Madara, and some other people only because she knew them and are friends with them. Other: has demons and other stuff and I'm workin on the story. History:Haichu is a somewhat famous ninja. She was considered as 'ancient' because she lived in the time with the first ninja war, AKA when Madara was around. She was not only one of the first Uchihas but one of the most known during that time. She knew Madara well and they were best of friends, they were always there for each other, and covered each others back during the war. However, she suddenly disappeared when Madara became immortal. 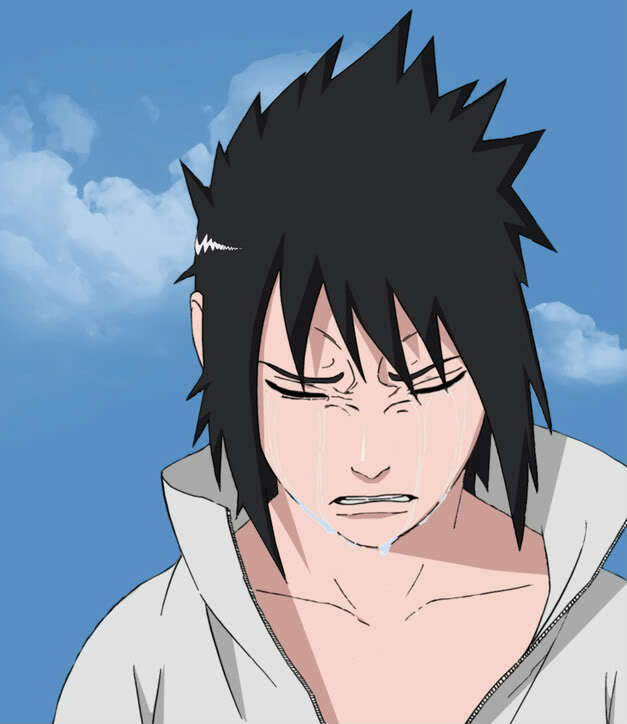 Madara didn't know what to think, knowing that the one who could always be there for him, besides his brother disappeared. He then thought it was the enemy group, but realized that she would have been able to escape or get some of distress message to him. Raged, he decided to make a truce with the enemy other known as the First Hokage. However, he was planning revenge over all the time. Each day he became more confused wondering where Haichu could be. Years passed and the pain was becoming unbearable knowing that Haichu isn't going to be here with him. Soon after he couldn't take it anymore but also knowing that the Uchihas were trapped, he fought with the First Hokage and his brother, pretending to 'die' waiting for some sign of Haichu. Appearently Haichu didn't know any of this as she wasn't even in that time period, she had triggered her special power of time travel. It activated when she was fighting a specialized ninja who knew everything about her power and was trying to force her demons to use time travel. She then left and seemed to teleport into a time in the period of the 2nd Ninja war with younger Kakashi. However, she didn't know that she time traveled because her demons inside of her blocked memories of her power. She at that time was loyal to the Leaf Village thinking that Madara was somewhere. However, Haichu searched but never found him, but found someone else, Kenta. They became lovers and would do anything to keep each other safe. Later when other countries found out about Haichu's power they sent more and more assasins after her and demanded to give her self up or face death. 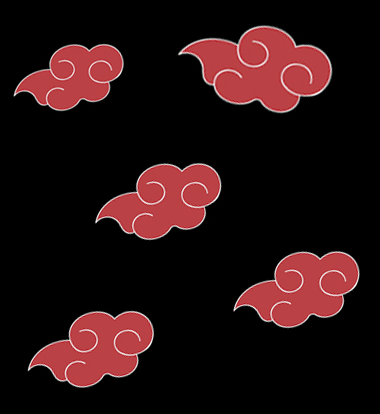 Yet, knowing Haichu and the average Uchiha they were headstrong, so therefore, she put up a fight against all the assasins. Haichu knew that she was always in danger knowing that not only was her life on the line, but also Kenta's as well. 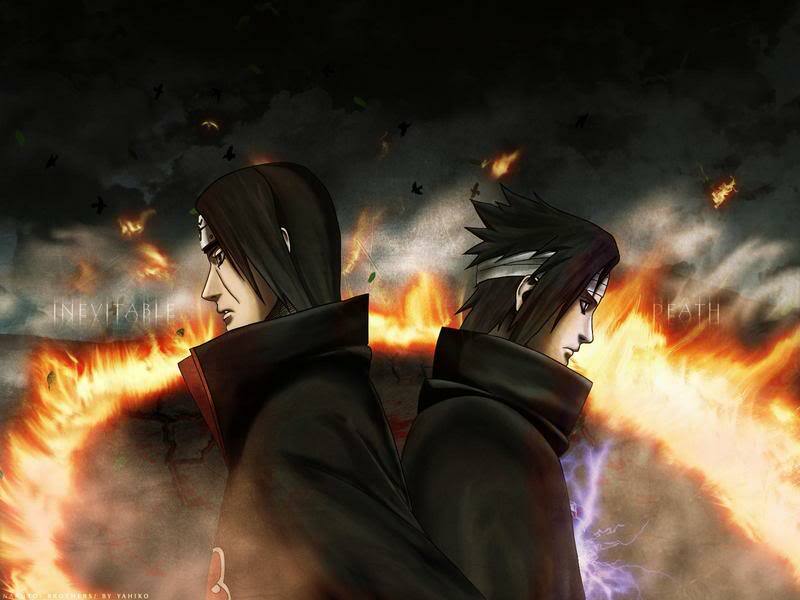 However, someone from the beginning of Pein and Konan they sent people out to try to recruit Haichu. Even though she was still mortal they both knew she was very powerful, but they didn't know about her past, for they have been keeping tabs on her observing while she didn't know. Finally, Pein decided to send out another part of him, and then began a fight with Haichu. This time however, they were going to kill her, to force the demons to let her live. Kenta intnerfered with this plan, knowing that she would die but instead switched places with Haichu so that she could live and he would die. Sadly, Kenta never knew that Haichu's demons would have saved her yet Haichu was only mortal that could be pushed to an extent. After emotions of pain, rage, anger, frustration, hate and agony she had no control over her body and the demons were released killing part of Pein. Once she had part of Pein was placed with her so she would be able to be tracked. After Haichu woke up she found Kenta dead only remembering that Pein killed him, but not remembering she killed part of him. Then at last after that, her demons teleported her to the more current day of when Itachi was the double spy, yet still remembering Kenta. Haichu was a very good friend with Itachi and Sasuke, however, she could not answer questions about her parents and brother for it was too painful for her to recall. After she figured out Itachi was going to kill the clan and knew about Madara she asked Itachi about it and he let her come along to see him. After a long time Madara and her then see each other again being very happy. She was still friends with Sasuke and Itachi though, because she helped Sasuke grow while also being there for Itachi liking a sister almost. She only fears that Itachi wants Sasuke to kill him. Her childhood had painful knowing during time of war, her father traded her to a sadistic group if they swore to help the leaf during time of war. they agreed and before Haichu left her brother told her once the war was over, he would come to get her but it never happened. During the lab experiment she had wings that could be seen if Haichu wanted them to show or they could disappear, either way she now was able to fly. Once the war was over Haichu's brother came to get her but died in front of her as the leader of the group killed him. So much grief unleashed her demons again killing the group and switching times once again to the current current time.